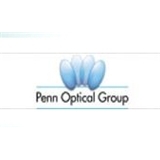 Penn Optical Group/ Miles and Tisch Eyecare (New York) - Book Appointment Online! Penn Optical is located directly across the street from Penn Station. Miles and Tisch Eyecare is located in the heart of the theater district. Both offices have been proudly serving our community for nearly 50 years. We provide eye examinations and contact lens fittings and offer a wide selection of eye glasses and sunglasses for our patients. Dr. Tisch and Dr.Tung have been trained to manage a wide range of vision problems and concerns as well as treat eye disease, glaucoma and dry eye problems. I was a first-time patient and highly impressed by Dr. Valcourt/s non-invasive approach to treating my eye condition. Baby steps vs taking drastic actions. What she prescribed worked very well in just one day, and my condition has healed immensely overnight. I recommend Dr. Valcourt to anyone requiring the services she provides.